The Aussie “Ultralite” 1” and 1 ½” pumps from Australian Pump Industries are designed to be lightweight, portable and effective. The pumps use high speed, top quality Honda or Robin engines to provide efficiency right the way through the performance range. The units weigh from only 5.3kgs and are ready to pump in a minimum amount of time. 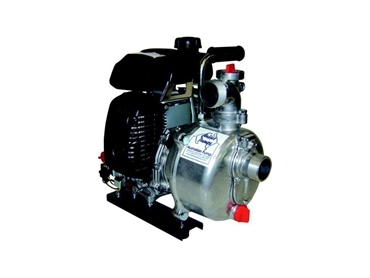 The pumps are backed by a two year engine manufacturers warranty as well as a five year pump warranty. If a thread becomes damaged it is easily replaced and the valve is easy to service check without dismantling the pump. The pumps can be used for transferring water, fire fighting duties, irrigation, spraying and diesel fuel transfer. They are tried and proven with established service networks throughout the world.